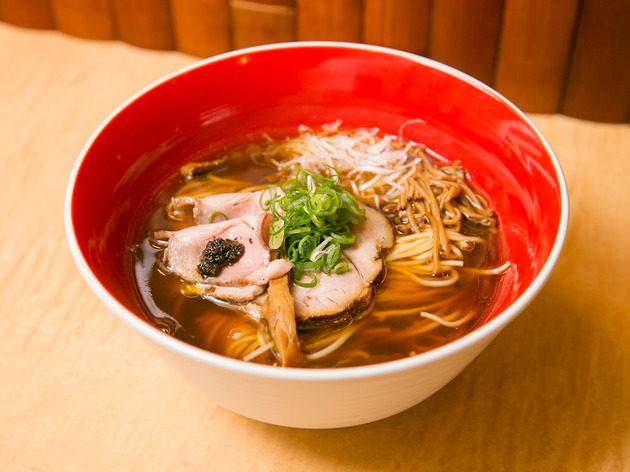 Sure, the ubiquitous convenience stores has a variety of quick meals that you can easily pick up and eat on the go, especially the conveniently packed konbini sandwiches. 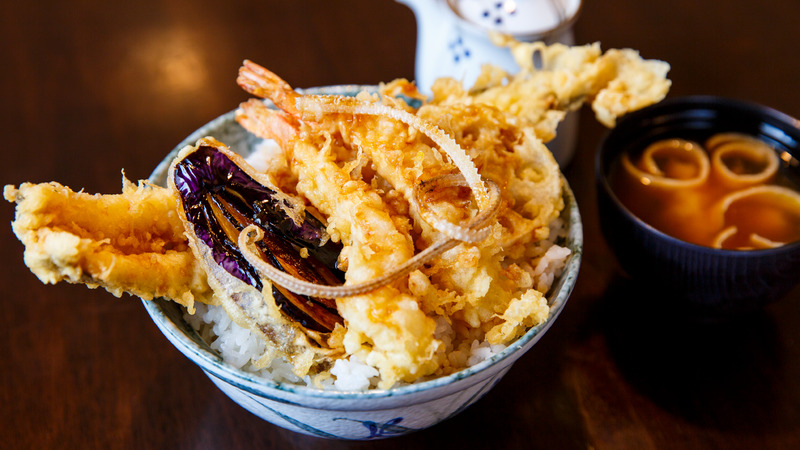 But if you're catching the train heading out of town (like taking a day trip to Hakone), you should always get an ekiben for your journey. 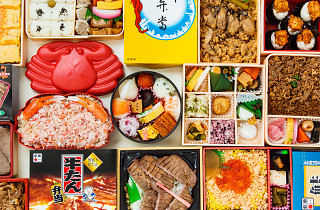 Ekiben – from the words ‘eki’ (railway station) and ‘bento’ (boxed lunch) – are boxes filled with local specialities designed to be eaten on the go. Tokyo (especially the major shinkansen stations) is lucky enough to have outlets selling ekiben from regions across Japan. Here are some of our favourites, should you be riding the rails or just fancy trying something different. 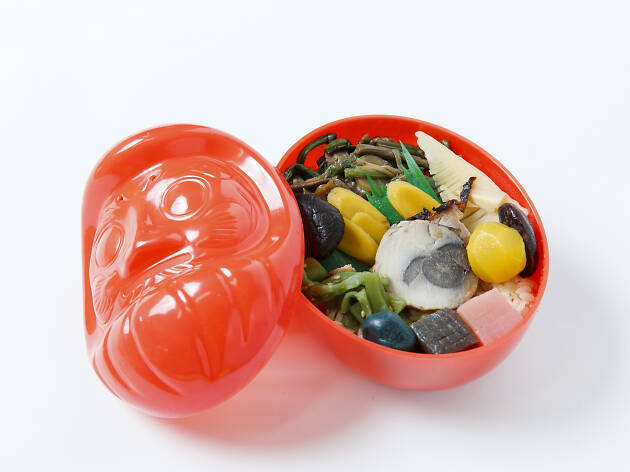 Packed with a healthy selection of mountain vegetables including takenoko (bamboo shoots), shiitake mushrooms and burdock, this cute bento comes in a traditional daruma doll-shaped container – understandable, as Gunma prefecture is home of the Takaben Daruma Bento and Japan’s leading producer of daruma dolls. After you’re done eating, the box can be used as a piggy bank, thanks to the thin (coin) slot that doubles as a mouth. 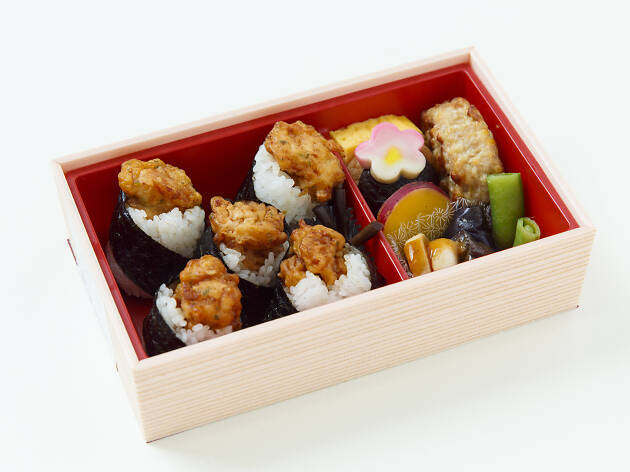 The highlight of this bento are the tenmusu, or fried shrimp fritters wrapped up in rice and nori (seaweed), served alongside an omelette, meatball and assorted vegetables. They’re the perfect finger food: neat and easy to eat. 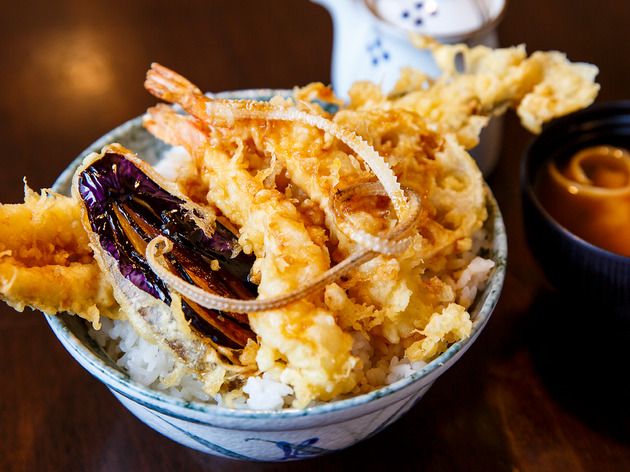 Tenmusu is a delicacy of Nagoya, and these small rice balls come in a variety of stuffings and flavours. You’ll often find them at stations as part of a bento box or wrapped up snugly inside a leaf for easy travel. 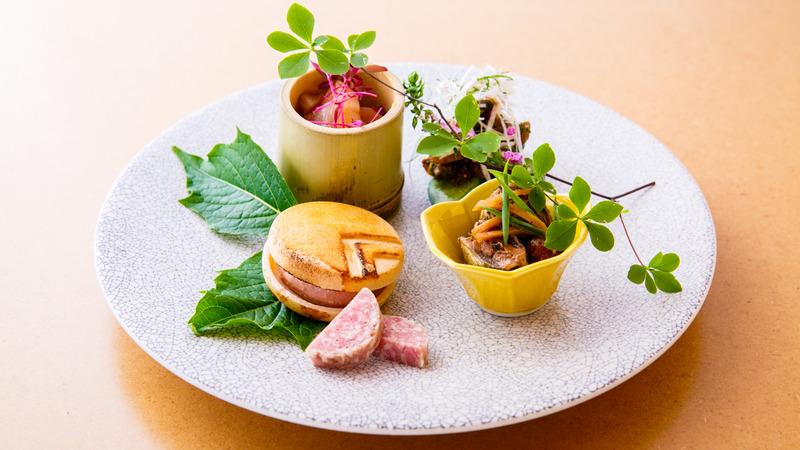 Originally from Nara, this picture-perfect bento box is a great option if you’re looking to get a taste of classic Japanese flavours. 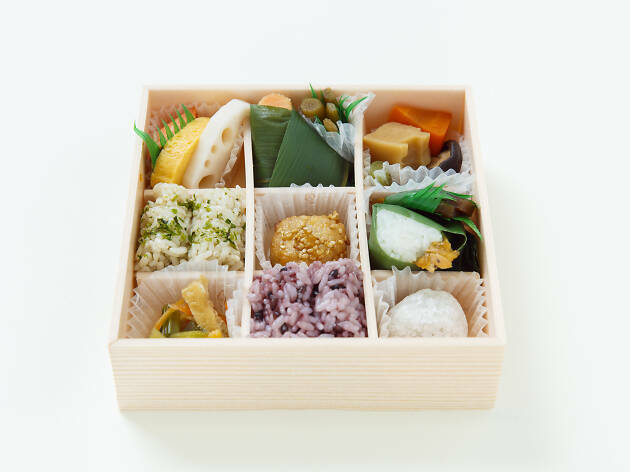 The box is segmented into a grid of nine, each featuring a different item, including pickled veggies, various types of rice, seafood and a sweet mochi ball filled with anko (red bean paste) to end your meal. 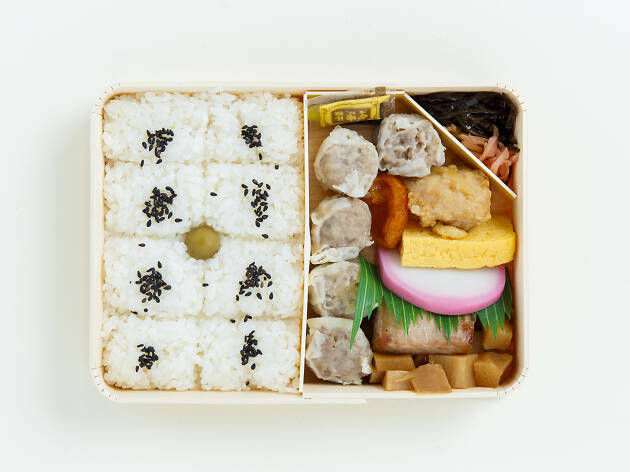 Found all over Tokyo Station, this tasty Chinese-style ekiben consists of five pieces of siu mai (traditional Chinese dumplings), eight balls of rice plus a selection of small bites including egg, pickles and fish cakes. 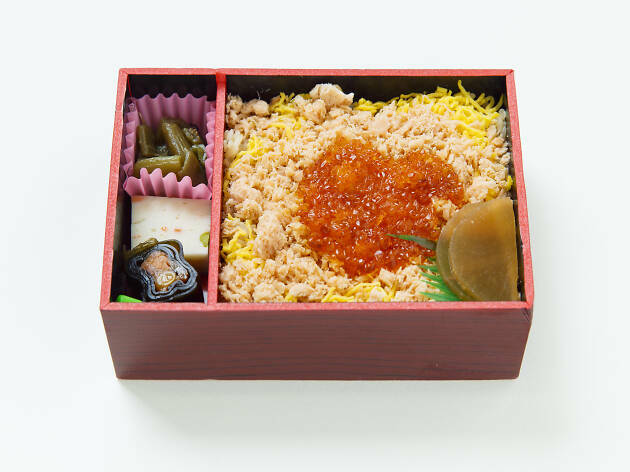 Originating in Yokohama, this bento comes from the long-established shop Kiyouken, which started out back in 1908. 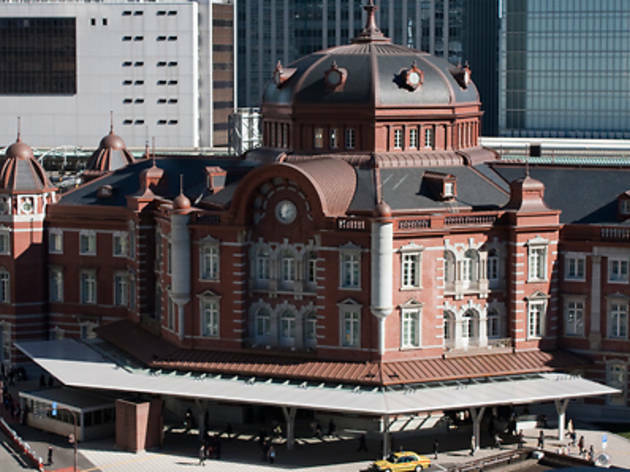 If you happen to pass by Yokohama Station, they actually have a restaurant you can dine in – but this bento is a convenient option for those in Tokyo and hungry. 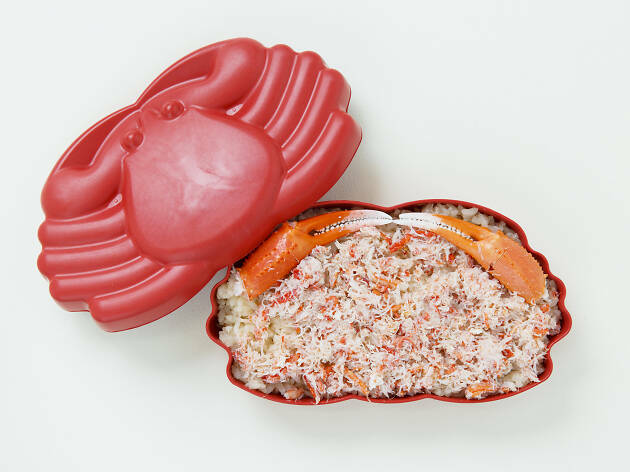 You can’t mistake what’s inside this adorable bento thanks to the crab-shaped box it comes in. 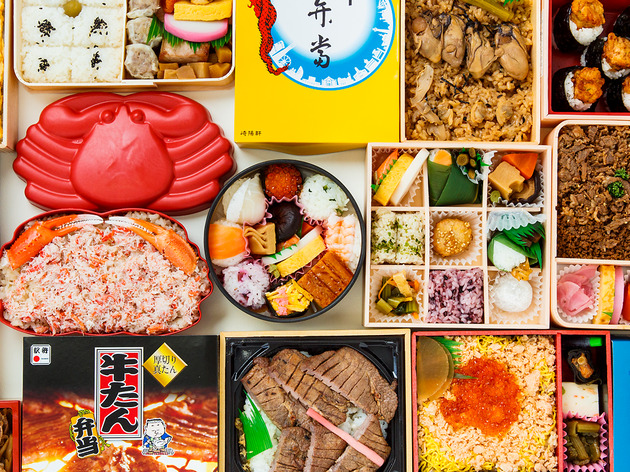 Simply filled with kanimeshi (crab rice), this bento from Tottori prefecture is a wonder for those who don’t have the patience to dig out all that juicy meat from the shell. Topped with two perfectly shaped claws, this is one indulgent lunch for the seafood-lover. 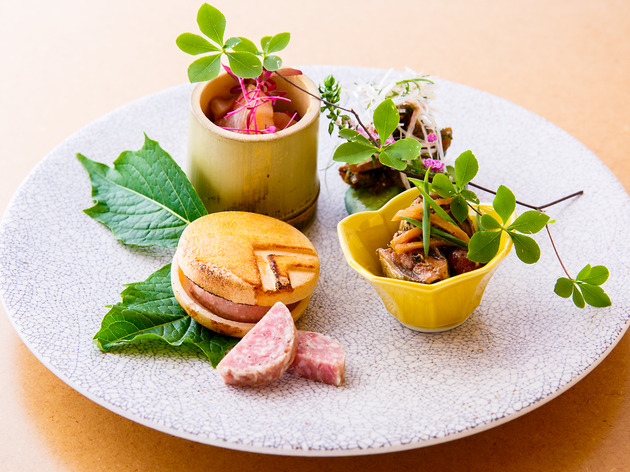 This bento from Nara is almost too pretty to eat: the tiny round nigiri sushi, otherwise known as temari, is the perfect bite-sized option if you’re craving sushi on the go. 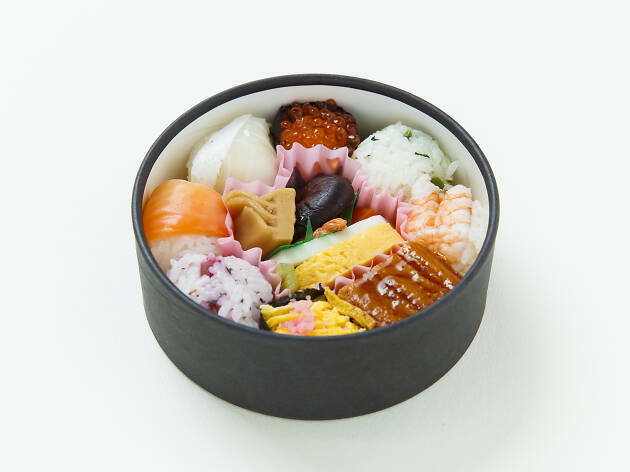 Also containing a selection of sides including a tamago egg roll, a piece of bamboo shoot and a mushroom, this bento has everything you need for a well-balanced meal. 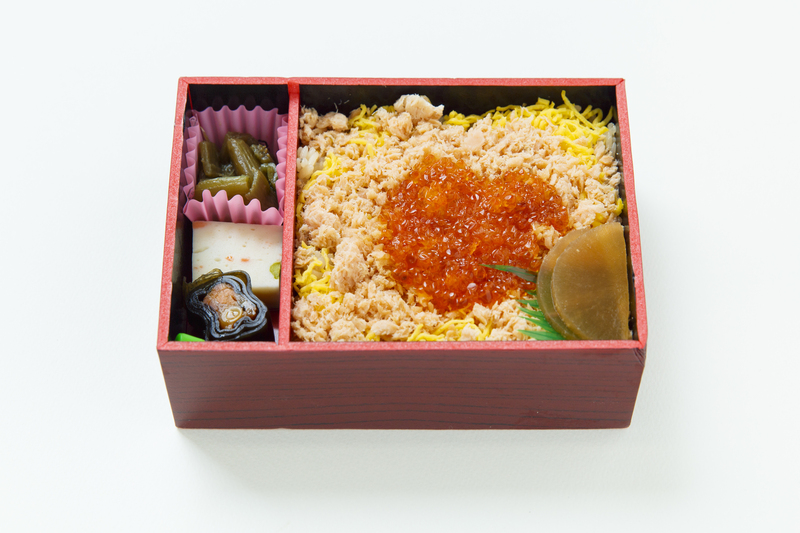 Hailing from Sapporo, this seafood ekiben is filled with fine flakes of salmon topped with ikura (salmon roe). 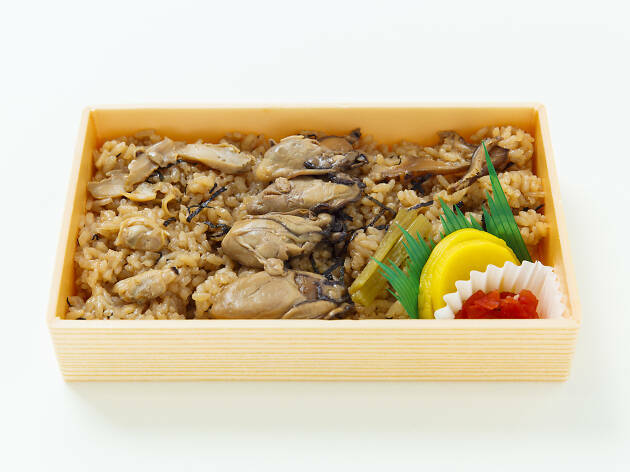 Hokkaido is known for its seafood, and this rice bento featuring plump oysters is filling and deliciously moreish. 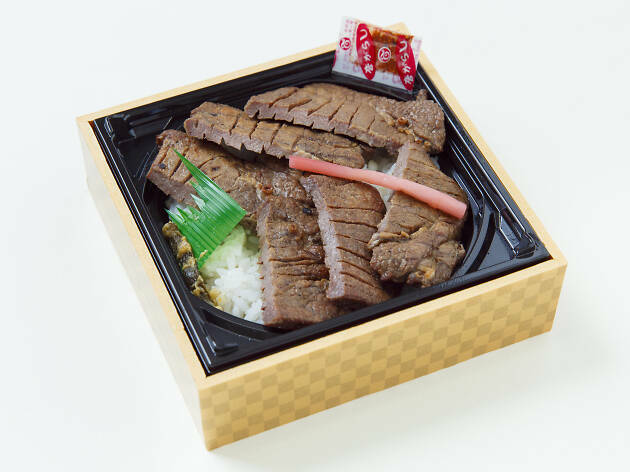 Simply grilled gyutan (beef tongue) on rice, this hearty bento from Miyagi prefecture is perfect as a protein-packed lunch. 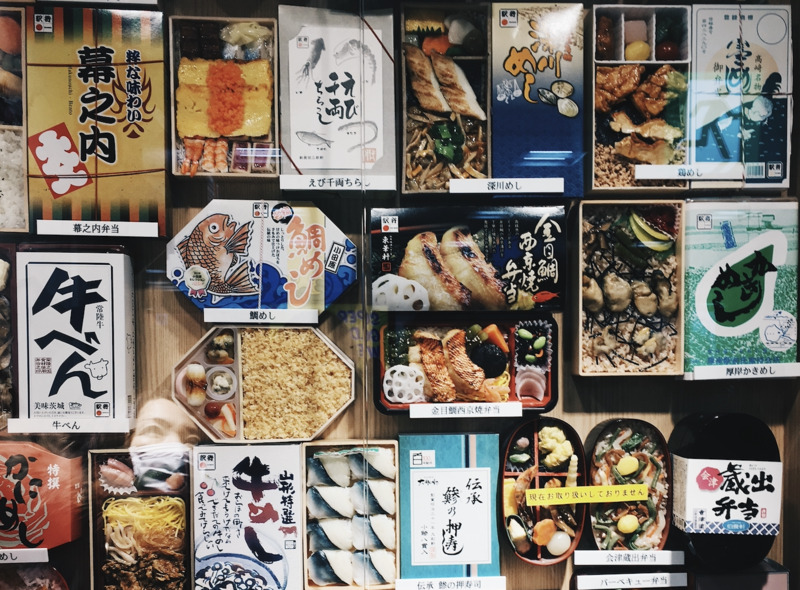 Located beyond the JR ticketing gates of the ever-busy Tokyo Station, this is the perfect pit stop before you leave Tokyo on a shinkansen.There are a host of options, so take your pick from ekiben sourced from all over Japan, as well as Tokyo favourites. 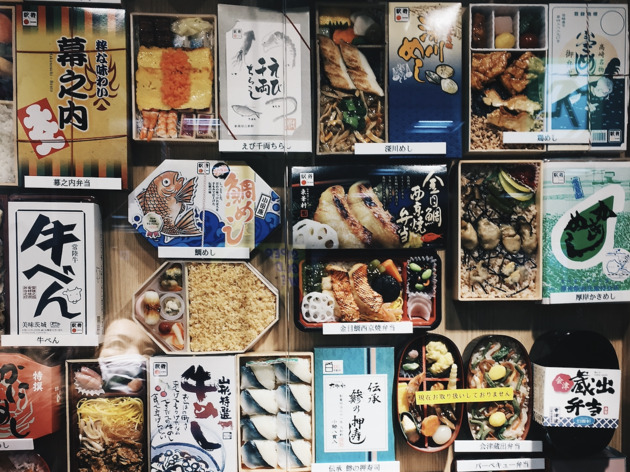 As the store is always packed, it’s good to get there early for the best options.Also, certain bento are released at particular times throughout the day; always ask the shop staff for help if you can’t find the specific box you’re looking for. 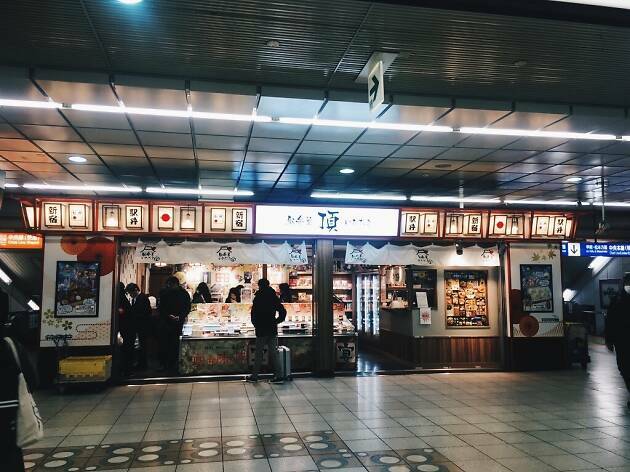 The sister store to Ekibenya Matsuri, this Shinjuku Station outpost offers a similar selection of bento. 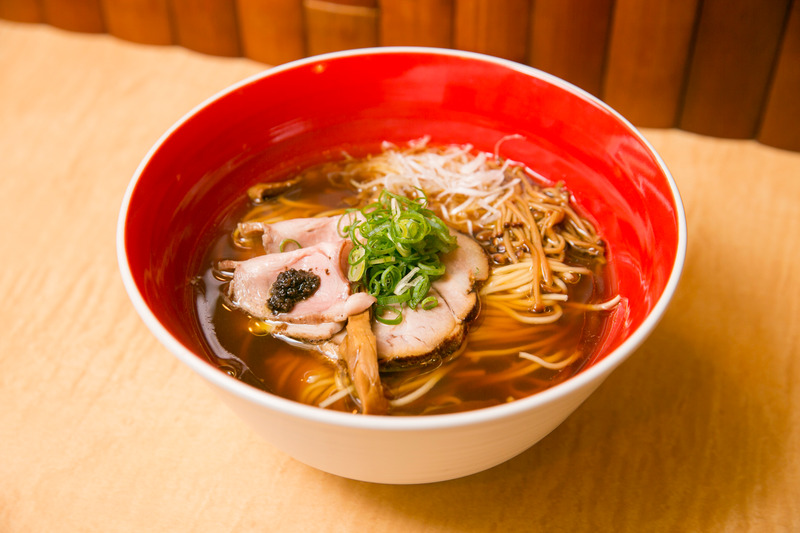 Also located past the JR ticketing gates, this grab-and-go shop is the ideal place to get your meal for the rails. Head down to the basement level of Tokyo Station after passing the JR ticketing gates and you’ll find the massive Gransta food and shopping complex, where everything from fresh food counters to sweet souvenir shops can be found.The takeaway area in particular offers a staggering amount of fresh food on a daily basis, where you can pick from beautifully packaged bento boxes to salads and deli items.This area stocks popular food items from other areas of Japan, such as specialty bento from Nara and tenmusu from Nagoya.